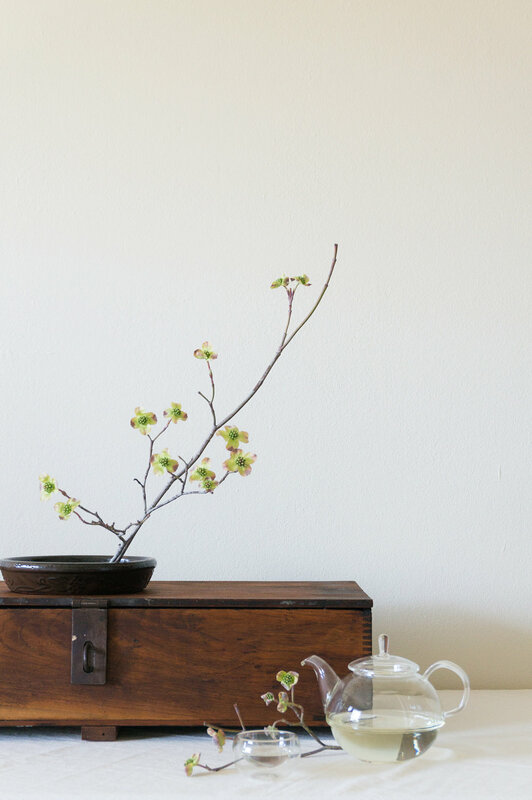 bough + twig is a San Francisco Bay Area based floral styling studio, founded by florists Clair & Mido. Nature is perfect yet imperfect, symmetrical yet asymmetrical, structured yet organic. The duality of nature inspires us and draws our respect. The world is filled with noise and drains our senses. We strive to reduce the noise and invoke peace and harmony. bough + twig was born from the idea of a tree branch reaching out. By infusing warmth in all our work, we seek to touch the viewer and invoke emotion and thought. After moving to the San Francisco Bay Area with her husband, Clair studied Floristry at CCSF and became a certified floral designer of the American Institute of Floral Designers (AIFD). Clair’s a natural planner and a doer and gets a thrill out of executing, but she also loves the in-between, quieter moments sipping tea and listening to Rachael Yamagata. She tries to find that negative space in every corner of her life, not just in her floral designs. Having previously worked in the museum industry surrounded by beautiful things, Mido followed her passion to create art herself and studied Floristry at CCSF, where she met Clair. She seeks to discover beauty in the unexpected and find joy in the little things, like pour-over coffee in the morning and pie + ice cream in the evening. In her free time, you’ll find her and her husband in their little community garden, tending to tomato plants, dahlias, and sweet peas.